With our Smartphone we do a lot of work in every moment. We do chat, play video, games, hangouts with our friends and family and many more. But after a long use of it we notice that our phone working but in a slowly mode. But in this speedy world we cannot operate a slow phone. That’s why in this article I’m gonna show you some Top Android Boosters and Cleaners for you. 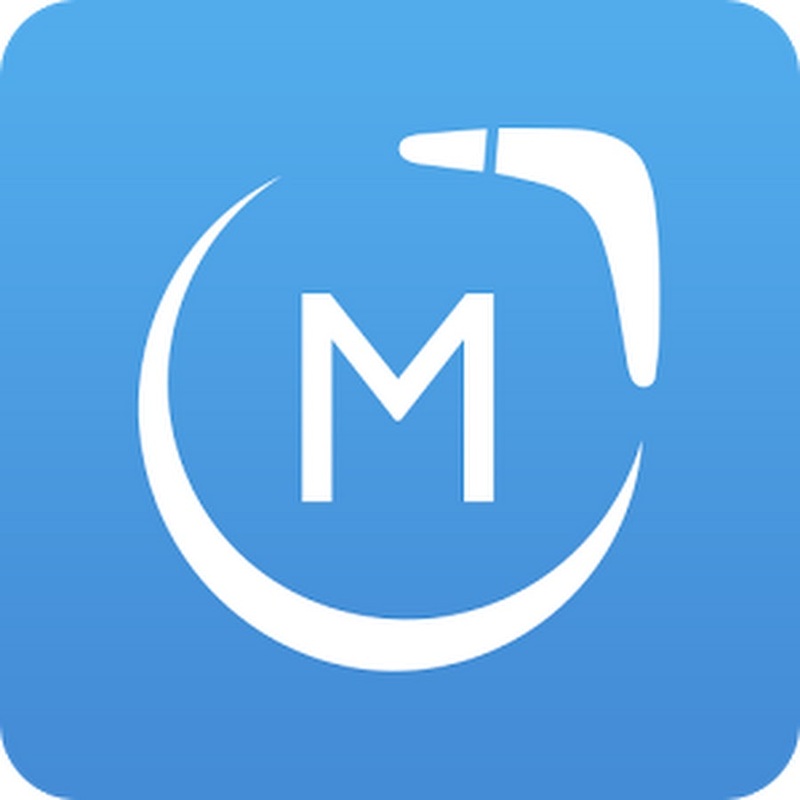 Through these apps you can speed up your phone and instantly also can operate a speedy phone. The apps are given below. 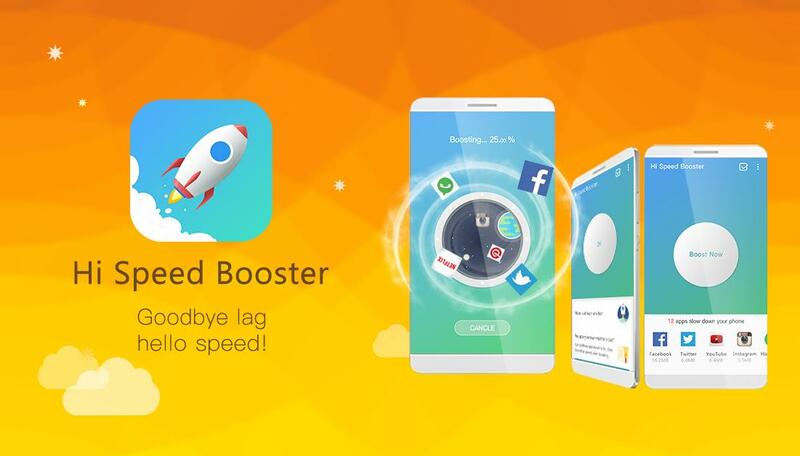 DU Speed Booster & Cleaner is the only all-in-one speed booster, trash cleaner and antivirus app that optimizes your background memory space, apps and junk(cache) files. While keeping your device safe from virus and trojan, that can secure your private data with the AppLock function. DU Speed Booster & Cleaner provide you many features than others. You can say as all in one. You can get many features such as, junk file cleaner , security & antivirus, network boost, CPU Cooler, Apps Manager, AppLock, Smart Charge, and more. Trusted by 230 million users, DU Speed Booster & Cleaner can clean cache and junk file, boost your phone to make phone faster. Click here to download the file from secure server. Click here to download the file from play store. MobileGo‘s powerful multi-files manager makes it easier than ever to manage, download, import & export your photos, music and videos with the push of a button, in real time, all in one location. De-duplicate contacts, switch devices, manage your growing app collection, backup & restore and even send messages from your desktop. It’s all possible with MobileGo! You can use it to clean up all junk files and caches(RAM), boost the speed up to 70%, protect your privacy, mirror control your phone onto computer for big screen enjoyment, and transfer files between phones and PCs. Over 7 million Android phones have been helped! 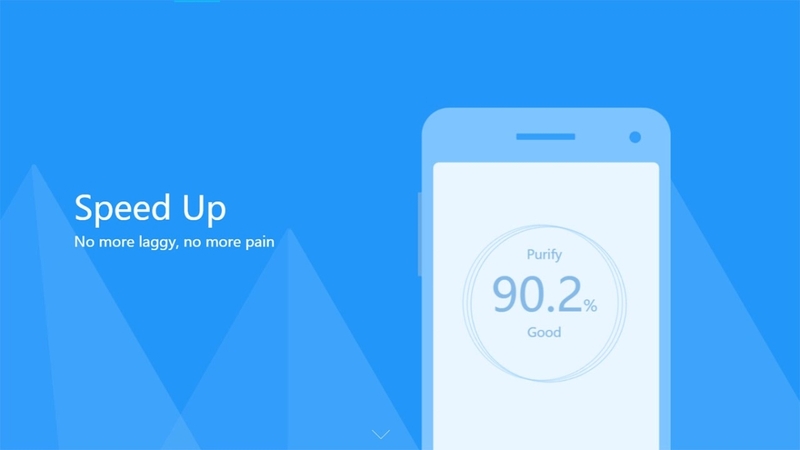 Purify optimizes your phone’s battery life and speed up your android device by terminating frequently auto-start apps smartly. It’s completely free to use. Purify Battery Saver Smart Save detects your battery life and adjusts the battery-consuming settings accordingly such as your screen brightness. Purify Apk is able to help you archive all your notifications in batches, making your notifications bar look organized and neat. 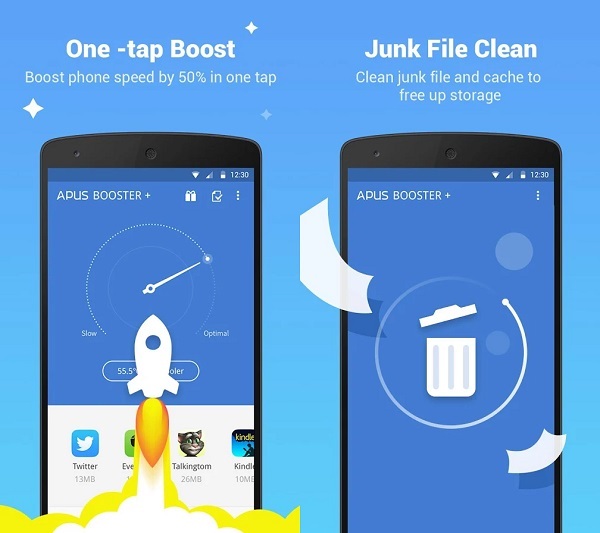 With perfect accuracy Apus Booster can be the cache cleaner to detect and clean cache junk, ad file, obsolete trash, memory cache and other junk file to reclaim storage (but not music cache).With one tap boost, this speed booster for Android cleans unused apps in background to clear memory space and save battery power. Its boost, clean effect are more effective and durable by 50%. One tap boost widget is available. With app lock, you can lock up your apps to protect sensitive information. Support for Facebook, Twitter, Messenger, Message, etc. have been added. Users can choose between code lock and pattern lock. APUS Booster can monitor device temperature and smartly close battery draining apps that cause overheat, therefore to cool down your Android phone. Hi Speed booster (Cleaner) is efficient to boost (clean) phone memory, and keep phone running fast. It is so smart making the boost effect more durable than others. 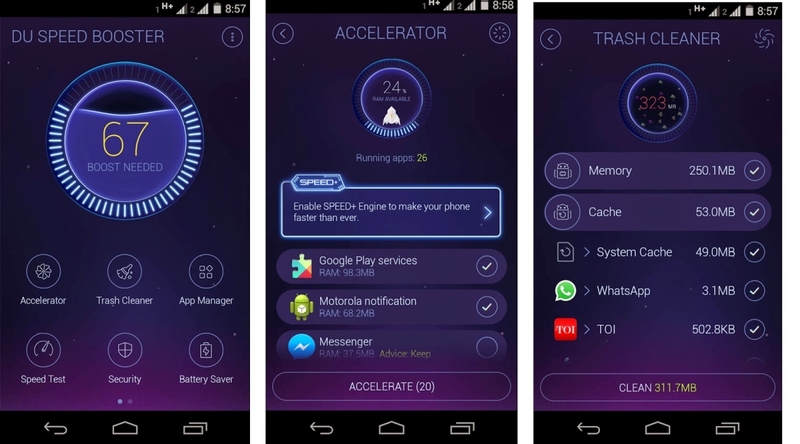 Hi Speed Booster (clean and boost) free up memory (RAM), speed up your device and save more battery. More important, it forces to stop apps without root permission, and make the boost effect lasting. One of the best part is 1 tap boost icon of Hi Speed Booster (Cleaner) can be listed on phone desktop, you can boost your phone with 1 tap. You can get many apps to boost your phone but these are the top booster to speed up your phone. You can easily download these apps through secure download or from the google play store. Hope you will enjoy these apps. Good Luck.